Once again, Wyred 4 Sound offers a fantastic audio product at an affordable price! Based on the success of the Remedy and known benefits of jitter reduction in a digital signal, we're proud to present the Recovery USB reclocker (or "RUR" as it's been coined on the Computer Audiophile forum). 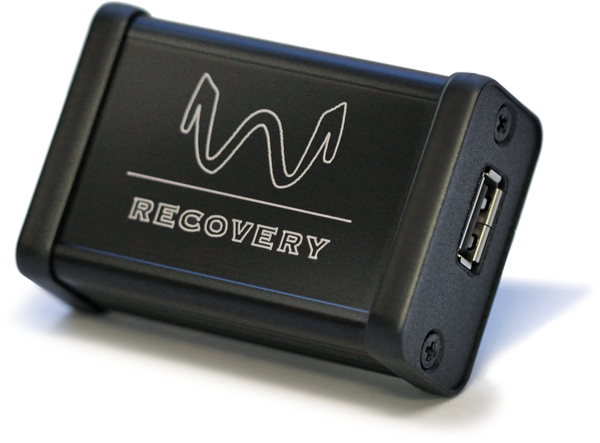 As it's name implies, the Recovery restores the original integrity of the USB signal. Usage couldn't be simpler: just insert the Recovery between USB source and DAC and instantly enjoy the benefits of a clean signal and much improved sonic quality. 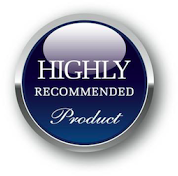 Be sure to click on the 'Reviews' and 'Feedback' links mid-page for testimonials. "...the Wyred4Sound Recovery seems to matter more than one’s chosen USB cable or playback software – a most effective antidote to digititus and therefore a 100% essential piece of the puzzle. For yours truly, when listening for pleasure, the Recovery must be part of the digital audio chain of command." "Wyred 4 Sound continues to deliver unique audio products that improve our audio experiences without destroying your bank account. The Recovery hits that bullseye dead center. Needless to say, this little jewel has found a new home." "More sparkle and more air. More depth and smooth sonics. More openness and more analogue sound.... With the W4S Recovery I forget to analyze the sound, instead I enjoy the music." "Using the power supply and the 6-inch USB cable provided by Wyred 4 Sound, I experienced a definite improvement to the sound.... I was unable to find any negatives to attribute to the contribution the Recovery made to my [DAC]; it just improved what I was hearing." "The Recovery lived up to its internet buzz." 2. Supply a much more precisely clocked source for the USB encoded data. This "pre-conditioning" of the USB signal provides the DAC a much cleaner, truer signal resulting in noticeably improved audio fidelity. What can I expect to hear differently? You will notice a more focused and a better-placed sound stage with blacker backgrounds. Similar to the Femto upgrade on our DAC, we found that the much better timing allows for more accurate bass and finer details in the micro-dynamic regions. At first, this might seem like a more ‘forward’ sound but what you are hearing is more of what you have not heard in the past. As the Recovery breaks in, it will continue to improve. I already own a Wyred 4 Sound DAC with Femto clock. Will the Recovery still benefit me? Absolutely! The two devices do separate things. The clocking in the DAC has no control over when or how it receives its signal from the sources.The Recovery works to greatly improve the incoming signal before the DAC receives it, so perfecting that allows the DAC to shine even more. The internal clock accuracy and jitter elimination of the DAC can mitigate some of the input jitter, but is no replacement for correcting it beforehand. What is the key difference between the Recovery and other audio USB 'filtering' devices? The design and thinking behind the Recovery is based on previous successes, and was built from the ground up to be superior in addressing timing and power inadequacies. A large part of how we accomplish this comes from using a more accurate clock and better internal power supplies than the rest. Will I need to install drivers? Is it plug and play? No drivers needed. Just insert it between your computer and DAC, plug power into the wall and you're good to go. Will I need yet another USB cable? No, we assume you will use your existing USB cable. We supply a short (6") cable intended to go from Recovery to DAC. Usage: Simply plug your USB cable from your computer/source into the Recovery and the included USB cable from the Recovery to your DAC. Then power the Recovery with the supplied power supply from the wall. Plug 'n play! 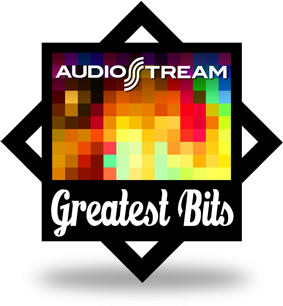 This very cost-effective upgrade is a "no brainer" in digital audio! Be sure to click the "Reviews" and "Feedback" links below for unbiased, real-world impressions. In less than five days my attitude concerning the Wyred 4 Sound Recovery was transformed from assuming it to be just one more USB toy to understanding and thoroughly appreciating the Recovery’s positive and valuable strengths to elevating USB playback to new levels. The bass and the mid bass were better defined with the Recovery and more dynamic sounding. The midrange’s focus was sharper and appeared to move slightly forward in the soundstage compared to the sound with no Recovery. I felt that the highs had better definition that was probably helped by a perceived reduced noise floor. The soundstage appeared wider with the use of the Recovery providing a lager sonic presence to the sound. I was unable to find any negatives to attribute to the contribution the Recovery made to my Analog DAC; it just improved what I was hearing. The Wyred4Sound Recovery seems to matter more than one’s chosen USB cable or playback software – a most effective antidote to digititus and therefore a 100% essential piece of the puzzle. For yours truly, when listening for pleasure, the Recovery must be part of the digital audio chain of command. More sparkle and more air. More depth and smooth sonics. 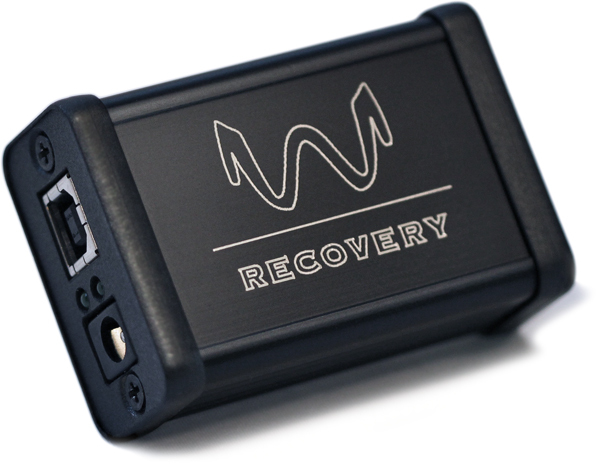 More openness and more analogue sound….With the W4S Recovery I forget to analyze the sound, instead I enjoy the music. Even responses from untrained ears were able to detect the changes, with preferences that all leaned towards the [Recovery]. Those of us invested in USB must accept that for reasons not crystal to us non engineers (and apparently even bona fide IT engineers), well-executed fixes like Wyred4Sound's Recovery still matter. After spending some real listening time with the W4S,…overall sound is the best I have had. What the Recovery does is "staggering"
I have got to say, the more I listen the better the Recovery gets. First of all, DSD files seem to smooth out and open up very nicely. However what it does to PCM files, in my system, is just staggering. I would not have thought it possible. Between the RUR [Recovery USB Reclocker] and the [Uptone Audio] Regen, in my opinion, the RUR is in a class by itself…Where the Regen enhances the dynamics of the soundstage, the RUR takes it further and the first time I actually heard the RUR at listening volume, I almost fell out of my near field chair. The RUR has my highest recommendation. I am so enthralled with its rendition that I am purchasing a second one. I don't have a question I just wanted to comment on the Recovery I recently ordered and installed. All I can say is thanks, the difference it is already making is astounding. [My system] sounded pretty good before the Recovery but is so much smoother and natural sounding now. I also have a pro-ject debut carbon tt and lounge audio phono pre and I have to say that my digital music now rivals my analog collection. I received my product a "Recovery" USB Module and I didn’t even need to break it in. The immediate difference is astoundingly evident. It's like a "muzzle" was pulled off the DAC. Tell me how to submit an on-line review. If not possible then just Thank You!